The bag includes all the basics that a prepper would need in an emergency Bug Out Bag, and is plenty big enough to add your own supplies. 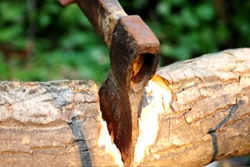 We’ve started you off with the basics for making kindling, starting a fire and keeping yourself off the ground, as well as plenty of extras to keep you going. The contents of the kit are high quality and come from some of the top survival brands such as Kombat, Highlander and Anglo Arms. This Bug Out Bag a great starting point for new UK preppers, or even as a spare ‘go to’ kit for those of you who are already prepping. What you add to your Bug Out Bag next is entirely up to you. 16. 7″ Parachord Laced Survival Knife in either black or olive.